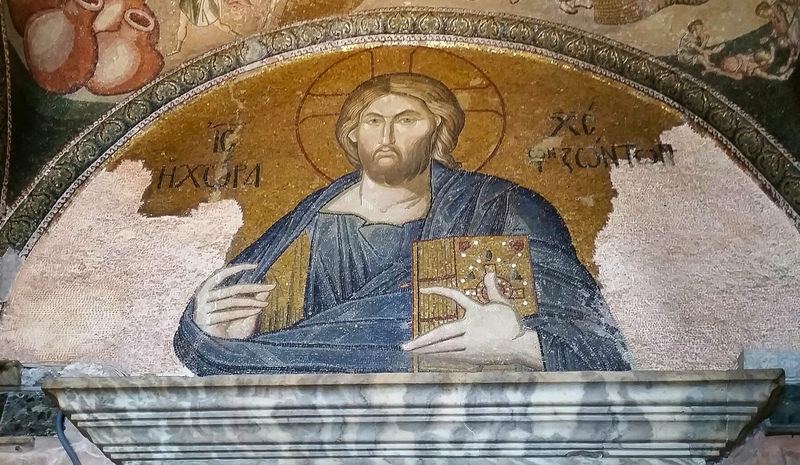 From Chora Church, in Istanbul. Enrollment for taxation. Mary and Joseph presenting themselves for taxation. The governor sits on the left. (Click the picture to enlarge it). This entry was posted in Christianity, Turkey and tagged Chora, Christmas, Enrollment, Istanbul, Joseph, Mary on December 10, 2015 by frjfkauffmann. 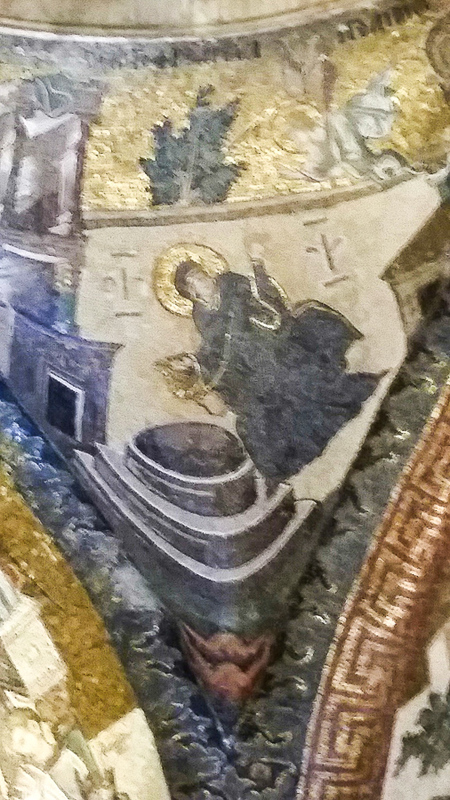 Pious tradition says that the Annunciation was at a well and that is shown here in the Chora Church. You may wish to follow the path of Advent accompanied by Bishop Robert Barron. 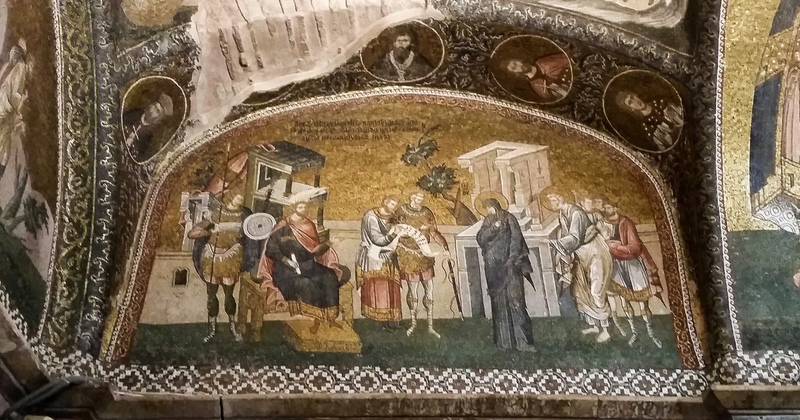 This entry was posted in Christianity and tagged Advent, Annunciation, Chora, Istanbul, Mary, Mosaics on November 29, 2015 by frjfkauffmann. The Church of the Holy Savior in Chora is now a museum in the Fatih district of Istanbul. It is rich in mosaics. This mosaic is over the doorway of the inner narthex. The Greek inscription reads: Jesus Christ, the Land of the Living. Jesus holds the scripture in his left hand and blesses us with his right hand. To the left of Jesus is Theodore Metochites in his oriental garments. 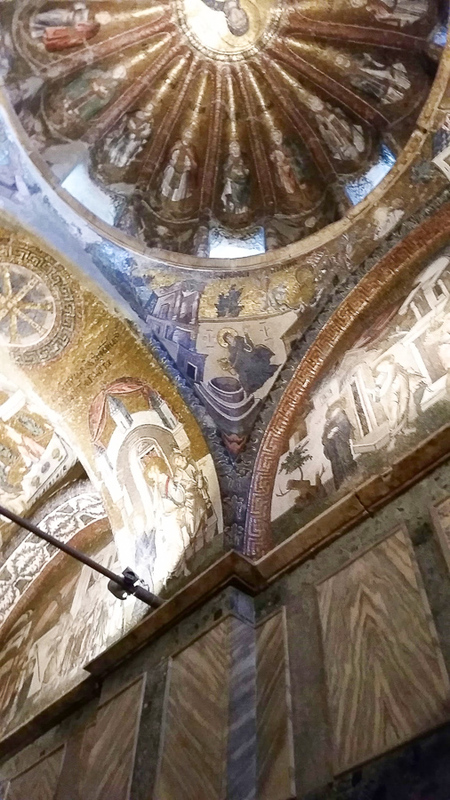 Theodore completed the construction all the church endowed it with its frescoes and mosaics. 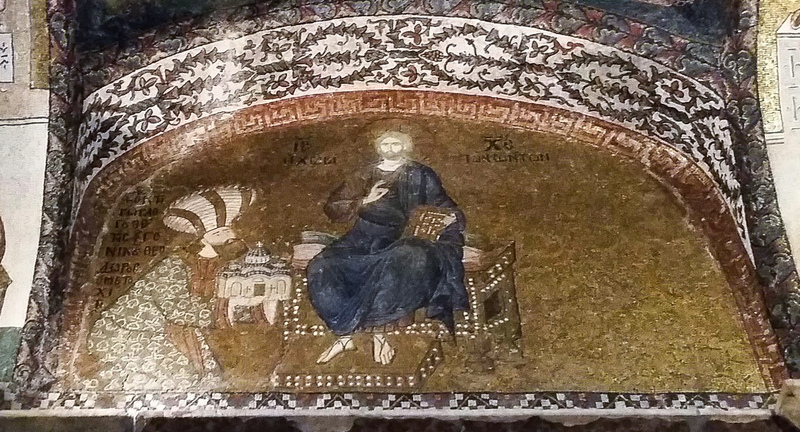 This entry was posted in Christianity, Turkey and tagged Chora, Istanbul, Metochites, Mosaics, Pantocrator on November 28, 2015 by frjfkauffmann.